Georgia is a presence facilitator for the Ariel Group. She is a passionate professional and business coach with over 15 years experience in the corporate sector, a background in psychology (graduated with Honours in 2000) as well working as a professional actor. Georgia has delivered face-to-face workshops all over the world for different clients and also deliver live webinars weekly to global clients from her home office. Georgia also spent almost 10 years teaching drama to children and adults from 2001 - 2011 . Georgia has delivered seminars across North America, Asia and Australia, and subsequently has worked with a diverse range of soft skill development personally and professionally. This covers everything from Leadership Presence to Presentation Skills. Georgia’s passion is helping people to develop and grow to find their individual style. Seeing a breakthrough, witnessing the light bulb moments that can give work and life meaning, get’s her up in the morning. Her acting career has spanned 20 years in television, theatre, film, TV commercials and voiceover work. 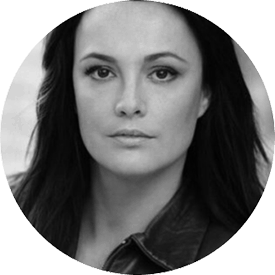 Georgia brings energy and enthusiasm from her acting background to your training room that supports learning and growth in a highly engaged and practical environment.